Lee plays a passionate emergency room doctor, while Cho takes on the role of a coldhearted president of the hospital. Having different goals and interests, the two confront each other. 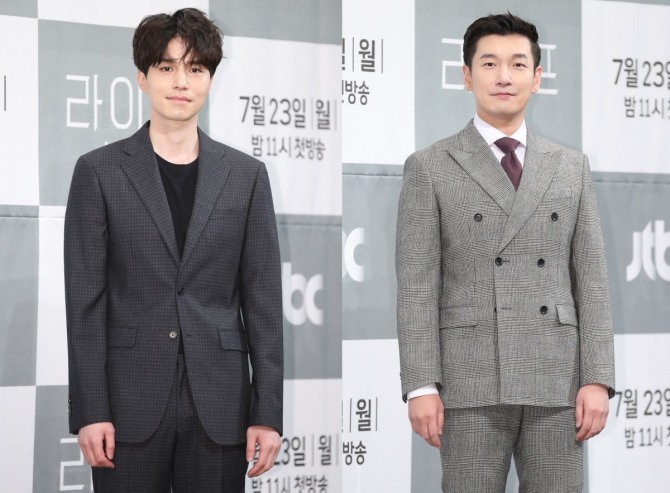 Producer Hong Jong-chan described the two actors’ relationship as an antigen-antibody reaction that may make one sick at first, but strengthens the immunity. “Cho, a newcomer to the hospital group, can find problems that the hospital people do not realize. It may come as a shock at first, but through the struggles, the hospital can become better and stronger,” Hong said at a press conference Monday in southern Seoul. “It’s not so much about the good and the evil. Lee’s character is sometimes colder than that of Cho. Cho’s character is sometimes more understanding than that of Lee. It’s the system we’d like to talk about,” he said. This is Lee’s first role since his previous work, the tvN hit series “Guardian: The Lonely and Great God,” in which he played a humorous and sweet grim reaper. The medical drama touts itself as different from other works of the genre, as its plot centers on a power struggle in a university hospital, rather than operations and medical treatments. It is Cho’s second time working with scriptwriter Lee Soo-yeon after the tvN mystery-thriller drama “Stranger” last year. The drama, praised for its tight and gripping plot, won the grand prize at the Baeksang Arts Awards earlier this year. Cho received the grand prize for his acting as well. The first episode of the 16-part series airs Monday at 11 p.m.